Truly refreshing and delicious addition to the top quality range from James Squire. After developing this cloudy apple cider for quite some time, James Squire remain dedicated to using only local grown juicing apples to create the unique flavour of a Cornish farmhouse style cider. 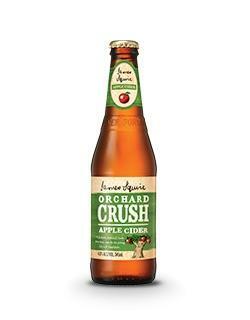 Unfiltered; Orchard Crush has a crisp and fresh palate with bucket loads of complexity which finishes with a satisfying medium dry aftertaste.